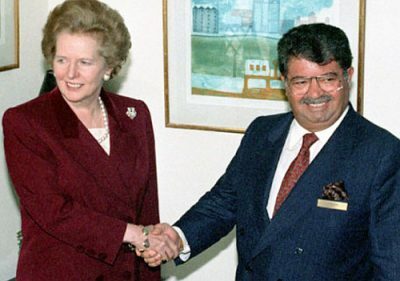 Featured image: Britain’s Margaret Thatcher with Turkey’s Turgut Özal. On February 21, a notice was released in Turkey’s Official Gazette ( Resmi Gazete ) stating that bids will be collected for Turkey’s state-owned fourteen sugar plants. According to Directorate of Privatization Administration’s (OIB) announcement, sugar plants in the provinces of Afyon, Alpullu, Bor, Burdur, Çorum, Elbistan, Erzincan, Erzurum, Ilgın, Kastamonu, Kırşehir, Muş, Turhal and Yozgat will be privatized. The Adalet ve Kalkınma Partisi (AKP – Justice and Development Party) government, which has looted and made benefits of public-enterprises available to both national and international capital, seeks new privatization opportunities. The introduction of neoliberal policies and privatization to Turkey began long before the AKP government. On 12 September 1980, the Turkish Military plotted a coup, which was supported by the U.S. administration. There were popular left-wing and working-class movements in Turkey before the coup. Although the military junta said that their main aim was suppression of a so-called “anarchic” situation, the government presented a free-market oriented economic construction package – known as January 1980 Package – in 24th of January 1980, just several months before the military takeover. The January 1980 Package was mainly focused on implementation of neoliberal economic reforms such as allowance and encouragement of foreign investment, the abolition of price controls and subsidies to state economic enterprises, and Turkey’s integration into international capital. The economic reform package was advised by the International Monetary Fund (IMF). The Military Junta saw left-wing movements, which had popular strength in Turkish society, as a threat to neoliberal transformation. At the time, the Confederation of Progressive Trade Unions of Turkey (DİSK) was a militant trade union and well-organized in the working-class movement. The person behind the January 1980 Package, Turgut Özal, founded a right-wing political party called Motherland Party (ANAP). He had personally met with Britain’s Thatcher and is often compared with her because of his neoliberal policies. However, in a political environment where most of the trade-unions and left-wing movements were heavily suppressed, it became easier to implement the neoliberal reforms. As a result, Turkey entered into an era of integration into international capital and implementation of neoliberal policies including privatization of public enterprises. Despite the fact that privatization in Turkey did not start with the AKP government, anti-labour and anti-popular policies have always been a key element for them. Most of the public enterprises and state-run firms were privatized in the last 16 years. According to information published by OİB in 2017, the AKP government privatized 10 ports, 81 power plants, 40 facilities, 3,483 premises, 3 ships, 36 mine sites and public shares of 94 companies. Most of the privatized sectors were strategic parts of the Turkish economy. In 2005, the country’s main state-owned petroleum refinery TÜPRAŞ was sold to a joint venture of Turkey’s Koç group and Shell group of Netherlands. Privatization of the main firm in Turkey’s telecommunication sector, Türk Telekom, also took place in the same year. 55 per cent of Türk Telekom was sold to Lebanon’s Oger Telecom. One of Turkey’s most significant workers’ resistances also took place in 2009. Turkish tobacco and alcoholic beverages company, also known as TEKEL, was bought by British American Tobacco (BAT). Prior to the company’s privatization, approximately 10,000 workers received their notice of contract termination. Workers went on protests in the capital Ankara and faced police attacks. The 78 days-long resistance brought many achievements to Turkey’s working class and marked a historic phase. The sugar beet industry played a crucial role in the country’s industrialization during the early republic years by building infrastructure in rural areas as well as providing employment opportunities to local people. If privatization takes place, many workers are expected to become internal migrants as their livelihood standards will fall dramatically. Are we going to see another historical resistance? It is too early to say, but workers and opposition parties reacted with anger against the government’s decision to privatize Turkey’s sugar plants. The Republican People’s Party (CHP) Deputy Chair Veli Ağbaba has said that the decision to privatize sugar plants came after President Recep Erdoğan’s meeting with U.S. Secretary of State Rex Tillerson on February 15 and that Turkey’s sugar factories are going to be sold in order to meet Cargill’s (a U.S.-based multinational company) demands. The company has been operating in agricultural product field in Turkey since 1986. During the demonstration against the privatization of Apullu Sugar Factory, Lüleburgaz (a district of Kırklareli Province in the Marmara region) Mayor Emin Halebak said that if the government wants to sell Apullu Sugar Factory then he wants to buy the plant and give it back to people. Apullu is the oldest sugar factory in Turkey. The fight against privatization of sugar factories is not just an economic demand but also a political issue. AKP and particularly Erdoğan called themselves “native and national” several times as if their opponents are not natives of Turkey and do not belong to the country. Yet, they are the ones that sell public property to foreign investors for the sake of a few moneybags and multinational companies. Ironically, their so-called “native and national” values end when capitalists command them to do so. At this stage, it is not clear if the AKP government is going to give up its goal of privatizing the country’s sugar factories but it seems like they are quite determined to do so. Turkey’s highly oppressed working-class movement is the only political force that can stop it. History is calling the working-class to take the stage, once again. Kubilay Cenk studies at the University of Plymouth, focussing on international relations and politics.